Educational Qualification: Master’s Degree from a recognized University with at least 50% marks at the Post Graduate Level, with degree in Bachelor of Teaching/Bachelor of Education/Post Graduate Basic Training from any recognized University or any training recognized by the State Government as equivalent to Bachelor of Teaching / Bachelor of Education / Post-Graduate Basic Training from a Teachers’ Training Institution duly recognized by the National Council for Teacher Education (NCTE) in the relevant academic session. Ten years continuous teaching experience on the last date of submission of application in approved service in a Higher Secondary School/High School/Junior High School recognized by the West Bengal Council of Higher Secondary Education/West Bengal Board of Secondary Education. Starting Date of Online Application : 13/06/2017. 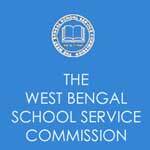 Subscribe our free job alert mail for West Bengal School Service Commission Recruitment 2017.